Health tourism refers to traveling abroad in order to receive medical treatment. It is basically the traveling of people from their country to another country in meeting the need of medical treatment. India is now trying to becoming a “Health Destination” around the globe. Also Indian doctors are recognized best as international level. There are lots of reasons to prefer India for medical treatment destination. The most important feature of Indian medical facility is that it promotes high savings. The cost of medical service in India is 30% lower than that in developed or western countries. There are specialized hospitals with world class infrastructure which attracts the patients from worldwide. India has modern assisted reproductive technology service that made it most preferred choice for infertility treatments. There is no waiting list at good hospitals for the patients especially foreign patients. The best surgeons are available round the clock for your help. Basically India has top specialties in cosmetic surgery, dentistry, orthopedics, reproduction, cancer, weight loss, health screening and second options. Due to this specialties India is becoming most preferable medical tourist destination. In private corporate sector especially related to medicals like hospitals and clinic has improved themselves a lot in term of latest technology and skilled manpower. Whenever we go out from our country then language becomes the first barrier in communication but in India language is a major comfort factor. India has a large number of good English speaking doctors, guides and medical staff. It invites so many foreign tourists to visit India for medical and health tourism. Language flexibility makes it easier for foreigners to relate them well with Indian doctors. 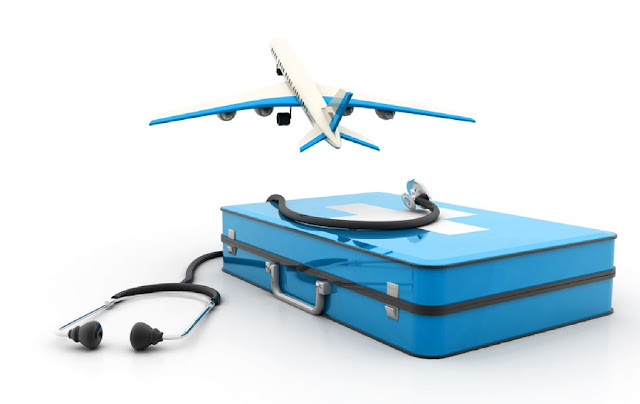 The Indian government is also promoting health tourism in India by providing tax concessions. Customers really feel comfortable because there is no racial discrimination in India. So that is the reason Africans prefers mostly India for their medical treatment. Actually medical sector in India is growing very rapidly. Medical education system of India provides 30000 doctors and nurses each year. Not only medical services foreigners are also get attracted towards the natural therapy treatments like ayurveda, yoga etc. They prefer to cure their disease with the help of herbs, yoga and ayurveda. Health tourism in India is too advanced that it includes some life saving health care services like open transplants, cardio vascular surgery etc. There are some health care service providers that helps in making treatment easy especially for tourist who are like stranger in new country. Health portals like Medmonks helps tourists in finding right doctors at right hospitals with best price. They simply provide right care to their patients. India has a big success story in the field of medical after IT industry. Still there is a lot of hope to increase this health tourism in India. It has lots of potential to grow in terms of medical because it has inherited advantages of cost and quality. Next Next post: It's Raining Movies In Bangalore!